After denying several times that he would be singing the Bond song for the upcoming James Bond film, ‘Spectre’, it was finally announced on Tuesday 8th September that Sam Smith would in fact be following in the footsteps of Shirley Bassey, Paul McCartney and Adele by singing the theme for ‘Spectre’ entitled ‘Writing’s on the Wall’. Rumours were suggesting Ellie Goulding, who I think would have been an interesting choice and the bookies favourite was Radiohead, who also would have been a good choice. I was personally hoping for an instrumental piece by the composer for the film, Thomas Newman, like in George Lazenby’s solo outing as Bond in ‘On Her Majesty’s Secret Service’ – it worked really well and I had my hopes up when this theme appeared in the teaser trailer perhaps suggesting this might be the case. 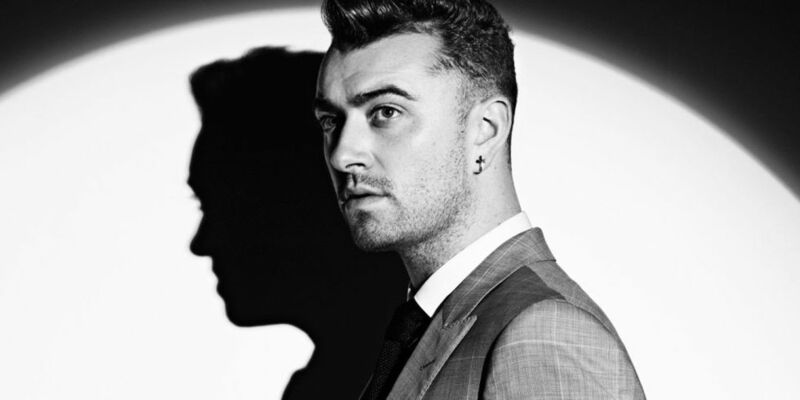 Sam Smith is a very ‘safe’ choice – he’s very popular in the music industry at the moment with a couple of number 1’s under his belt. However overseas, particularly in the US, he is almost unheard of so in this respect, a rather offbeat pick. I personally don’t like his style of music and the vibe that I get from his personality is that he is quite stuck-up and arrogant, so for me it’s a big disappointment. However, I can picture him doing this job and I can imagine the finished product being similar to Tom Jones’ lung-busting performance of ‘Thunderball’ in 1965. Coming off the Oscar-winning song by Adele with 2013’s ‘Skyfall’ does put Sam Smith at a disadvantage and he almost certainly won’t win an accolade this big for the song but it’ll be interesting to see what he does. But as mentioned, he does have a big fanbase and for many, they will be thrilled to see what he can come up with. So go on, Sam Smith. Surprise me…. ‘Writing’s on the Wall’ is available for pre-order now and will be released on 25th September.